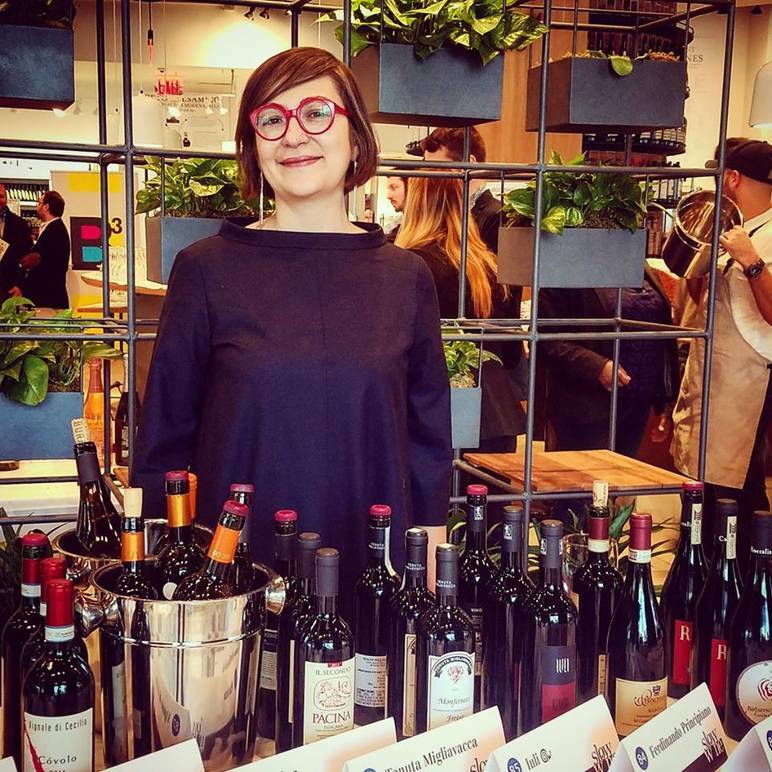 Slow Wine Stops by Eataly - Cheers! Eataly is the biggest market for Italian products in the world, so what better way to celebrate its tenth anniversary than with a toast? 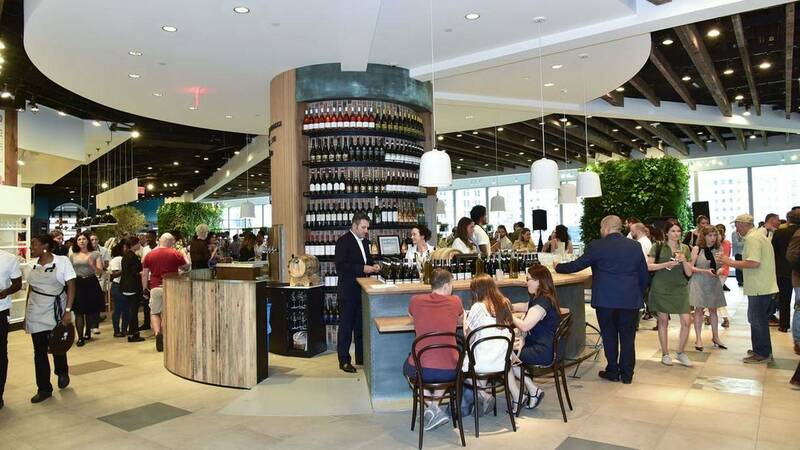 For this occasion, the beautiful Eataly NYC Downtown location was transformed into a vineyard to host Slow Wine 2017’s New York event. 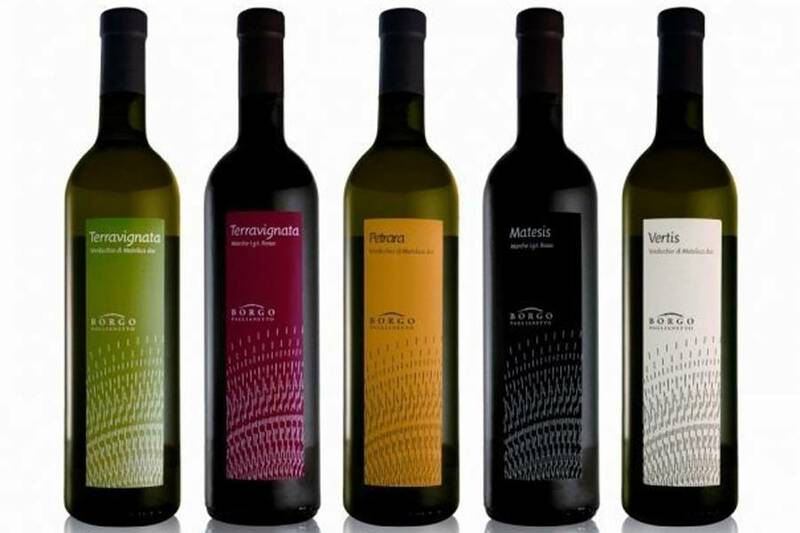 Every year the traveling Slow Wine event offers small and medium-sized Italian wine producers the chance to present themselves to the international market. Slow Food is more than just an association: it’s a philosophy and a way of life. Carlo Petrini founded the international nonprofit group in 1986 in Piedmont, Italy. 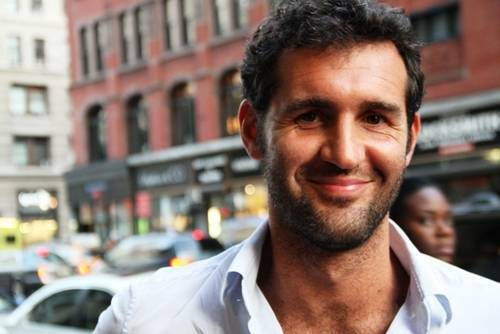 His organization identifies itself as a movement to “prevent the disappearance of local food cultures and traditions, and to counteract the rise of fast life.” The organization also looks to build relationships between producers and consumers, teaching both groups to understand the origins of authentic products and to respect the planet–including protecting biodiversity. 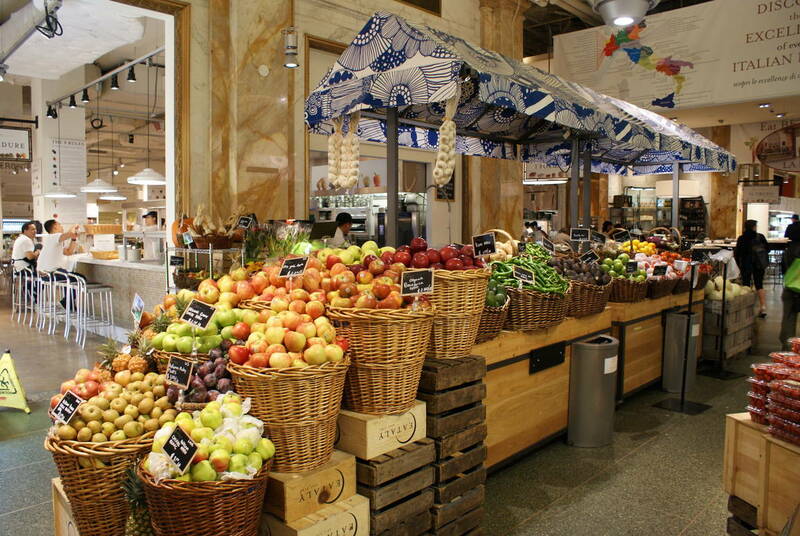 Upon its founding, Eataly shared the same fundamental principles as Slow Food and immediately adopted its philosophy. As it also includes wines, the slow movement is about more than just food products. 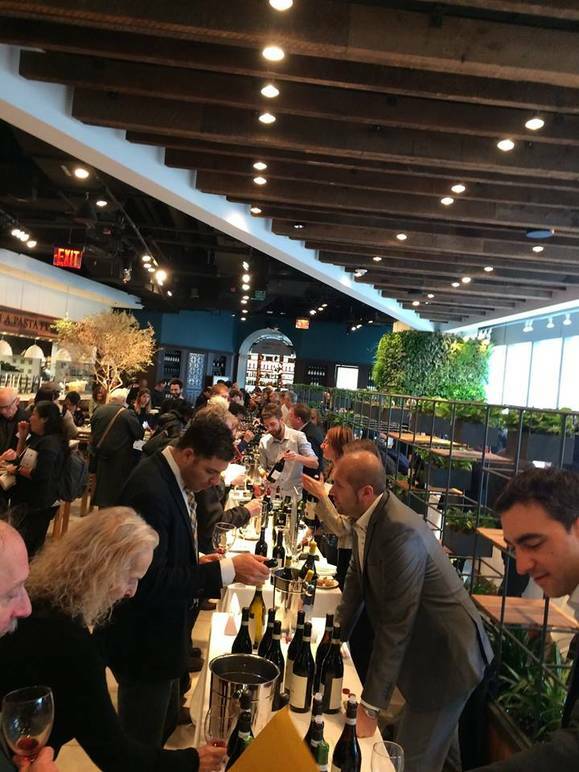 Before arriving in New York, the wine tour had seen both small and medium-sized Italian winemakers present their wine collections in some of the most important American showcases. Dino Borri, International Brand Ambassador & Head Buyer of Eataly USA, and fan of the wine initiative, told us a bit about Eataly’s first ten years and its new collaboration with Slow Wine: “We just finished our tenth year, and we’re celebrating not only our anniversary but also our great collaboration with Slow Food. The Slow Food movement was born in Bra, which also happens to be where I was born. 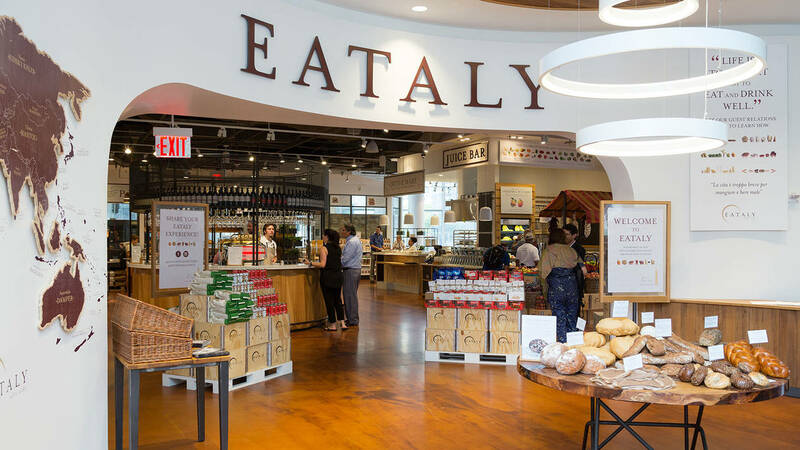 When the founder of Eataly, Oscar Farinetti, had the idea to open Eataly, he asked the founder of Slow Food, Carlo Petrini, for advice in selecting the best Italian products to put in the new store. 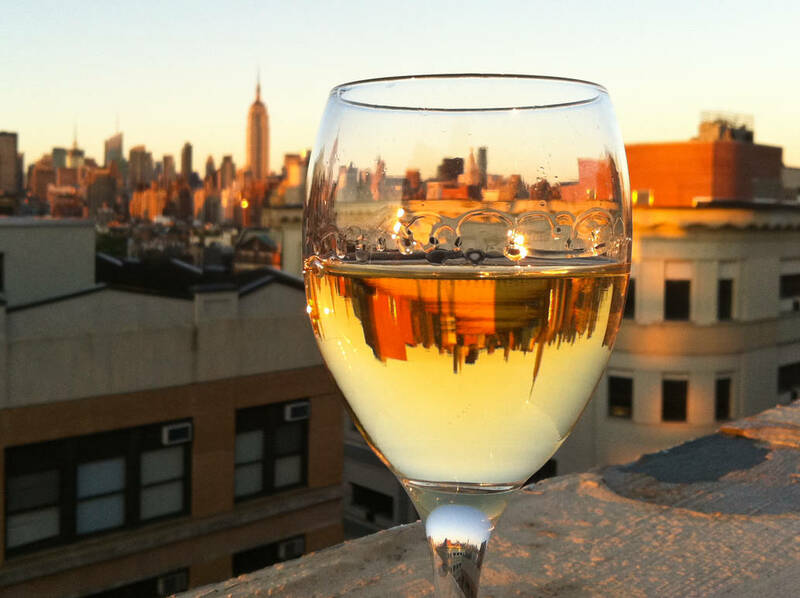 The marriage between Slow Food and Eataly is ten years strong, and we decided to host the Slow Wine event this year. It has already been hosted in other cities across the United States. We realized that our Eataly Downtown location was the perfect space to host it. We never had an event like this in our stores because they aren’t spaces for producers to hunt for buyers or distribuitors. However, our Downtown location also allowed us to host the producers, who we normally work with, for this event. Buyers, distributors, and other professionals had the opportunity to sample excellent regional Italian wines. 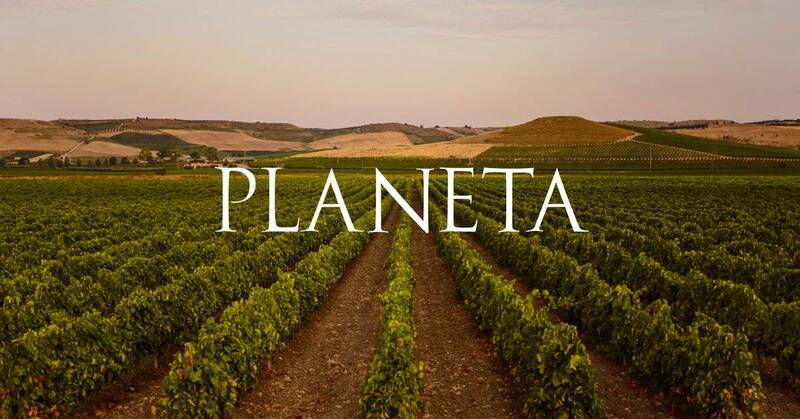 The Italian tradition of winemaking is world-renowned, and it’s indicative of high quality. Another interesting winery is RoncSoreli. It’s comprised of 72 hectares of land situated in the wine-producing region of Colli Orientali del Friuli. The representative who we spoke with described it as “a small entity in the comune of Prepotto that’s famous for its production of Schioppetino. One of the things that certifies wine originating from this vineyard is that it stays in the barrel for at least twelve months, at no less than 12.5 degrees Celsius, before it’s ready to be sold. This process gives the wine its characteristics, such as its particular wooden note. This variety of Schioppetino contains a hint of pepper and berries, and unlike other wines, it can be sparkling. 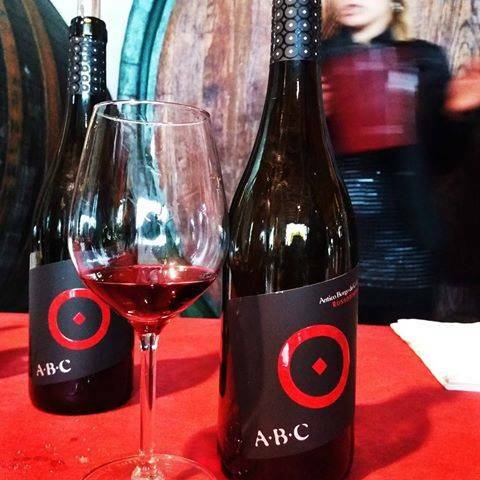 We have Ribolla, Friulano, Merlot, and Sauvignon, and we also have a new attractive brand called ABC. The Pinot Nero isn’t dated; it’s from 2016, and it’s targeted toward a younger market that doesn’t seek wines that are too grandiose." RoncSoreli is looking to distribute in the US, as are many of the other wine producers present at the event. They came hoping to gain publicity and attract important buyers. These accounts represent some of the most intriguing stories we heard, but the event as a whole was truly like taking a trip to Italy–with its scents and its flavors soaking in the drunken pleasure of wine. It was an outstanding day that celebrated the new marriage between Slow Wine and Eataly, a pairing that is sure not only to last but also to highlight the excellence of Italian products worldwide. Cheers!